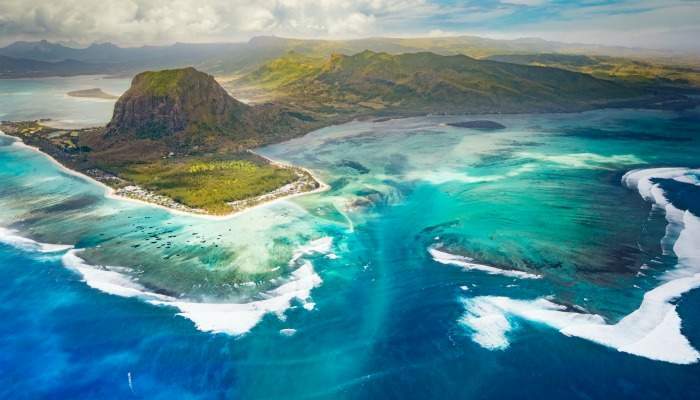 The tropical island of Mauritius is a beach destination located off the coast of the Africa, known predominantly for its paradise beaches, azure lagoons and a spellbinding reef that lures discerning divers from across the world. Inland, visitors to the sunny isle can find dense tropical rainforests, hiking trails and unique wildlife like the endangered flying fox, but the beating heart of this glorious island nation is Le Morne Peninsula. This freestanding rugged mountain and UNESCO World Heritage site juts spectacularly out of the Indian Ocean. Not only is it a striking natural phenomenon, there is plenty going in the surrounding area. Here are our top tips if you find yourself there. 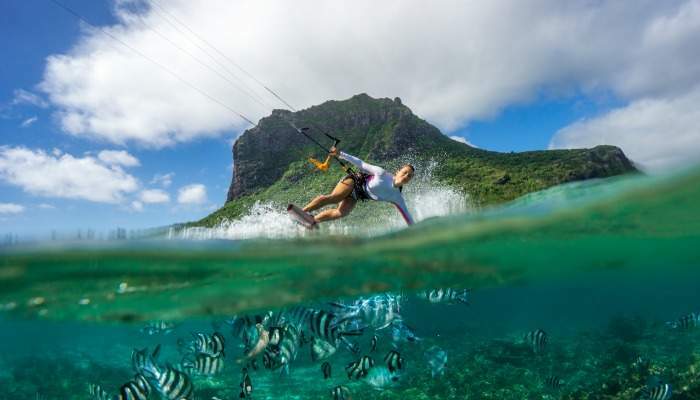 Throughout the year, Le Morne Peninsular entices keen kite surfers from across the world who are tempted by the island’s shallow reef-fringed lagoon, consistent onshore winds, and the swells and waves coming in from the south west. Year in, year out, the shoreline is populated by the hundreds of colourful butterfly-like sails that flutter through the air, belonging to water sports enthusiasts performing their most impressive surfing tricks. The conditions are also great for the less seasoned kite surfer, and it is known to be the best place for total beginners as it is one of the world’s safest spots to learn. 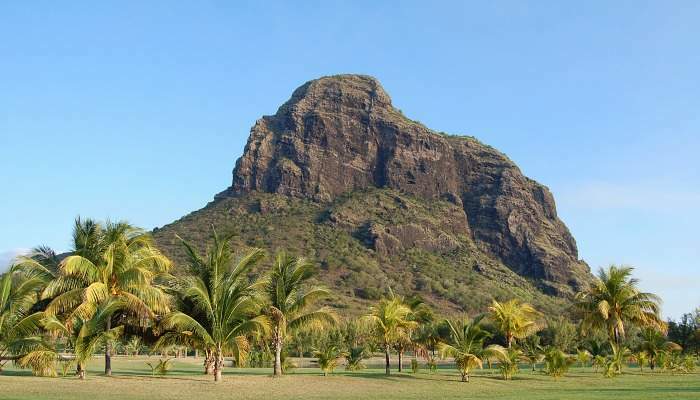 Keen trekkers who find themselves in Mauritius will be tempted to tackle the tumbling cliffs of Le Morne in pursuit of the arresting panoramic view at the summit. Upon reaching the 555-metre peak, the colourful vista is made up of views of striking sea coral, as well as the verdant green landscape that surrounds the mammoth monolith. 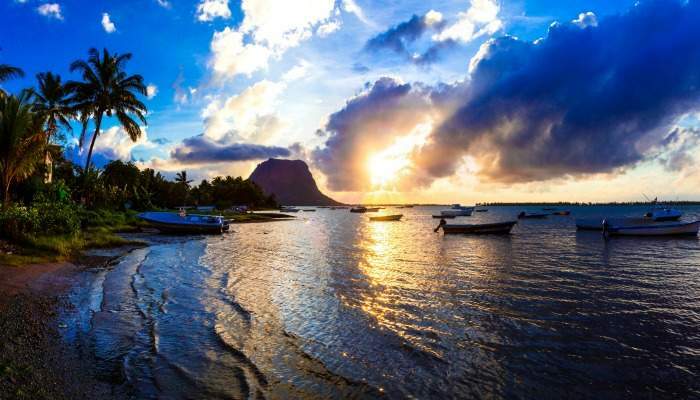 Hiking Le Morne isn’t a pursuit only attainable by the intrepid, with many trekking companies offering leisurely paced tours to the summit beginning around 6:00 am. 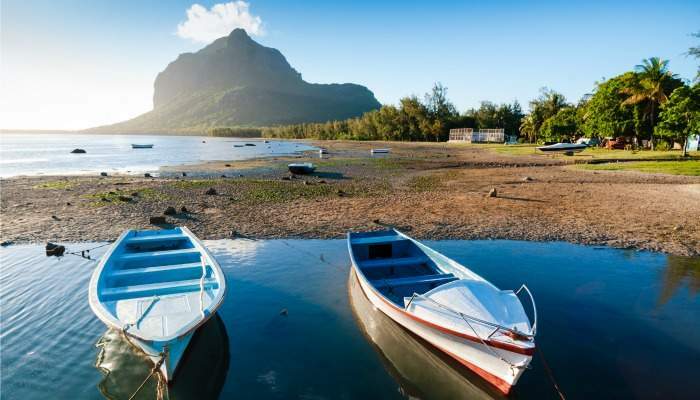 Not only does Le Morne form a beautiful natural landscape, it reflects Mauritius‘ fascinating history and, over the centuries, has evolved into a symbol of freedom. The monolith’s impregnable cliffs were once a great hideout for runaway slaves who were fleeing their fate during the 18th century eastern slave trade. Slaves formed small settlements and communities in caves and on the summit in an attempt to escape. To many, this battle for freedom is what the dramatic looming mountain has come to represent. The island of Mauritius is blessed with some of the world’s most unique marine life and some seriously impressive coral. So don those flippers and head out to sea to discover the underwater world that lies beyond and beneath Mauritius’ sandy fringes. The island is known for its ‘underground waterfall’ where the bright colours of the coral appear to plunge into the depths of the Indian Ocean. Various companies based in Le Morne can take you out to sea for a day trip, or there is the option to get your professional diving qualification – the PADI. For those wanting a taste of the Mauritian nightlife, why not get involved in one of the traditional Sega beach parties that typically take place at the foothills of Le Morne? These soirees tend to involve beach-side bonfires and, of course, local drink and cuisine. 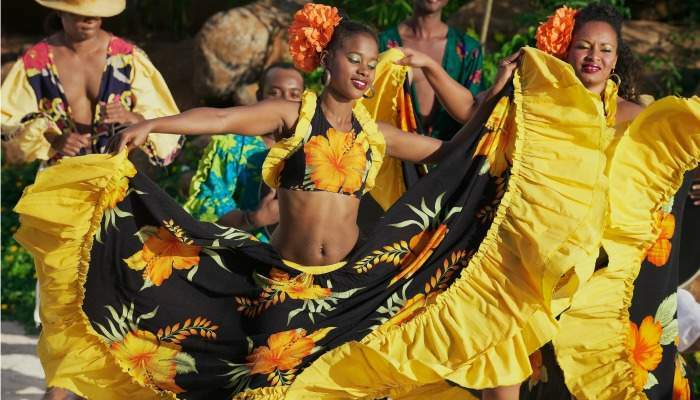 They’re a celebration of Mauritian culture and music. Sega music is one of the major genres of music on the island of Mauritius and has its origins in the country’s slave history. The music is fast-paced and created with the explosive sounds of traditional instruments such as the ravanna. 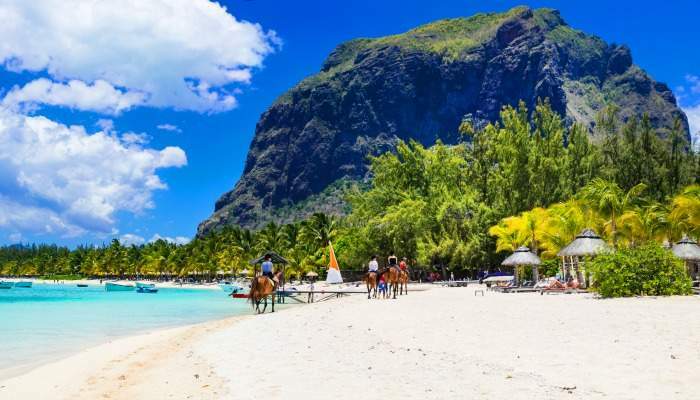 One original way to take in the mesmerising landscape of Le Morne is by horseback. There are plenty of horse rental companies dotted along the south coast that offer holidaymakers day trips along the peninsula’s sandy beaches. If you’re not totally confident on horseback there are options for beginners, but for the more experienced riders, you can venture off into the countryside and surrounding hills of Le Morne. Mauritius is internationally known as one of the biggest and best game fishing spots in the world. The king of the sea, the marlin, is the most sought after catch and several world records have been obtained in Mauritian waters by professionals. 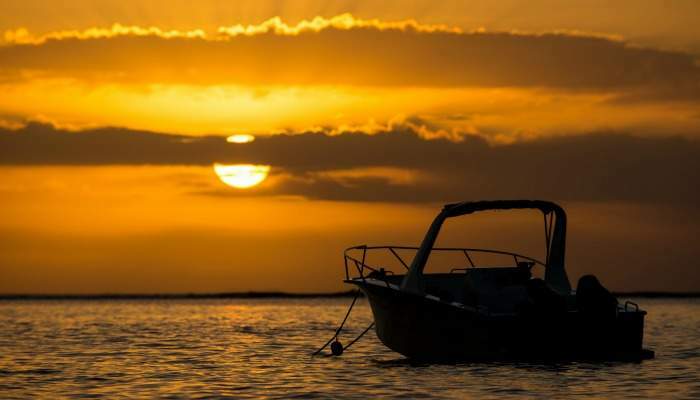 From Le Morne, you can find fishing boats heading out for the day’s catch and tour companies that offer excursions out to sea, regardless of whether you’re an amateur or seasoned fishing expert. Then you can round off a great day at sea with a beach barbecue while watching the sun sink into the horizon. 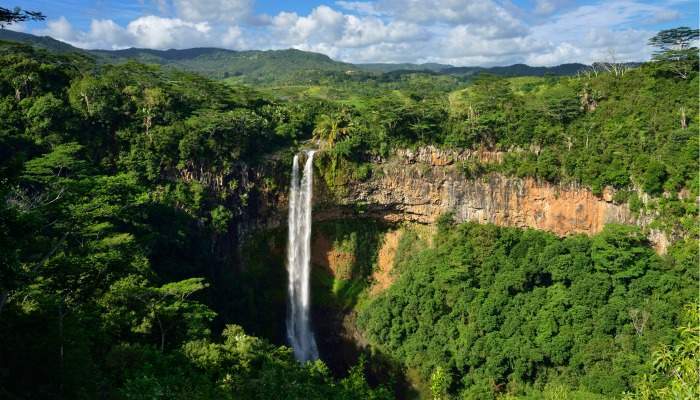 Whilst this special spot is a good 10km away from the foot of Le Morne, a trip to these thunderous falls is a great experience. The spectacular horseshoe-shaped cliff edge gives way to a plummeting drop, with tropical green forestry down below. The water falls an impressive 95 metres off the edge of this vertical cliff, with spray from the fall rising to half the height. There’s also the option to abseil the falls, with professional tour companies operating from the local town. 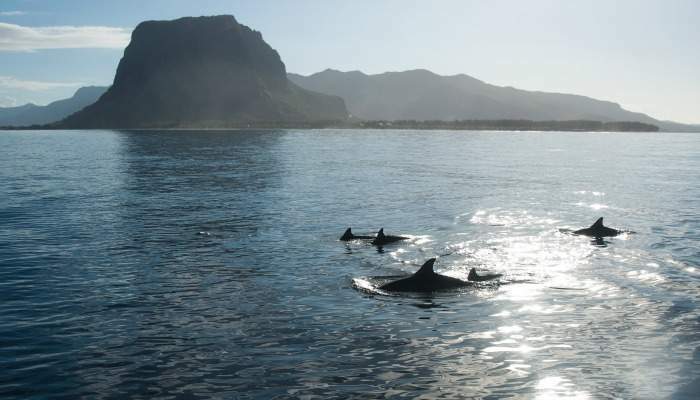 There are plenty of opportunities to venture out on a boat equipped with snorkelling gear and attempt to locate dolphins playing in their natural habitat. Local skippers have a great knowledge of where the dolphins congregate, and conduct their trips with this in mind. Look out for bottlenose and spinner dolphins, both famous for their acrobatic displays. If you’re looking for something a little less challenging than the somewhat intimidating peak of Le Morne, but still want to enjoy a pleasant amble, the walk from the quaint fishing village Le Morne to La Prairie beach is a good option. Le Morne lies at the foothills of the iconic landmark and it is a gentle downhill walk to La Prairie beach where you can see both Le Morne mountain and Ilot Fourneau – a nearby island. Here, you can get a sense of the general hubbub of local village life, with children playing petanque and fishermen reeling in their loot.